Joseph is a figure in the Gospels who was married to Mary, Jesus’ mother, and, in the Christian tradition, was Jesus’s legal father. 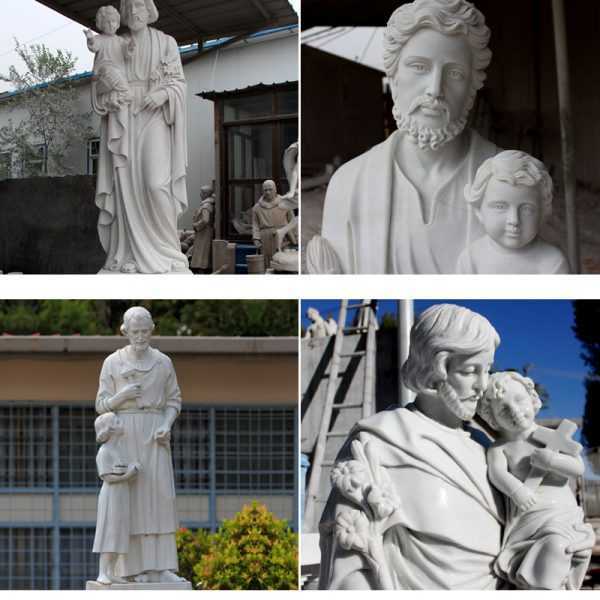 Joseph is venerated as Saint Joseph in the Catholic Church, Orthodox Church, Oriental Orthodox Church, Anglican Communion, Lutheranism,and Methodism.Some differing views are due to theological interpretations versus historical views. 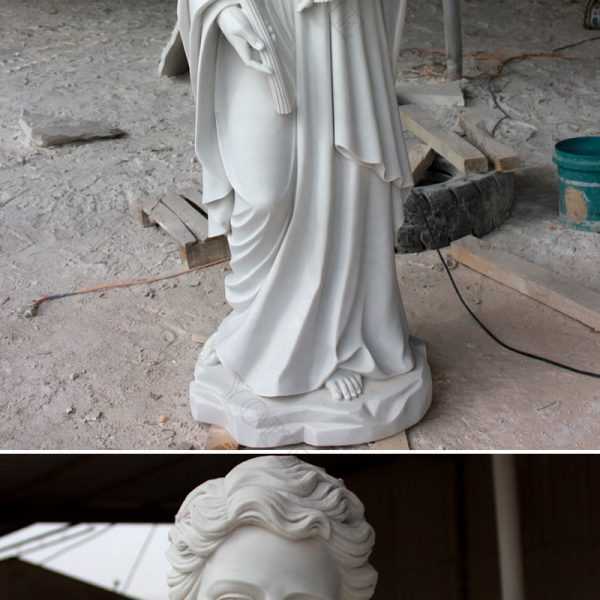 Jesus Saint Joseph Statue is buried upside down in the front yard with the feet pointing to heaven. It may face towards the home (or towards the street if you want your neighbor’s home to sell!) 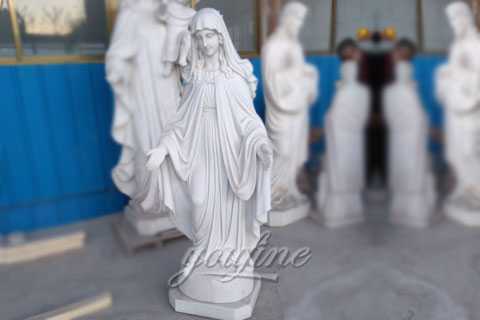 The location of the statue can vary: by the “For Sale” sign, in a flower pot (popular for condo owners), etc..
As long as you can find it once the home has sold. 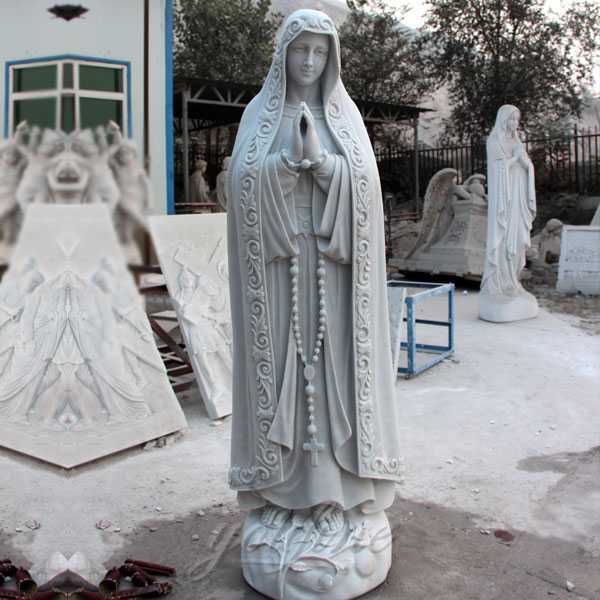 After the home has sold, the statue should be removed from the ground and given a place of honor in your new home. 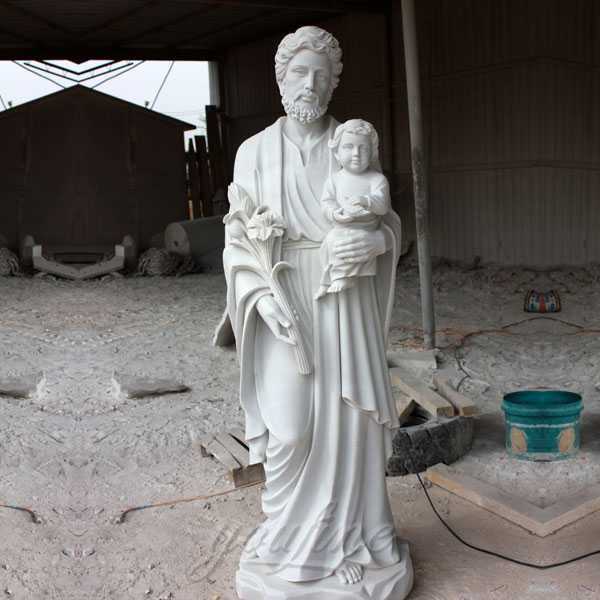 Oh, St. Joseph, whose protection is so great, so strong, and so prompt, before the throne of God, I place in you all my interests and desires. 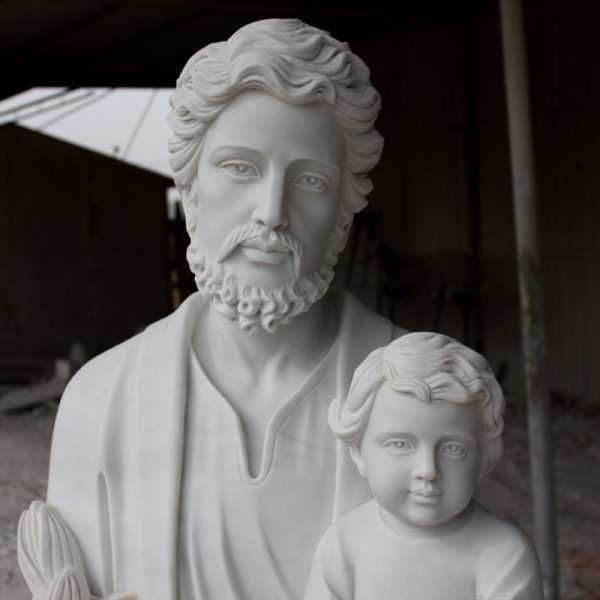 Oh, St. Joseph, do assist me by your powerful intercession, and obtain for me from our Divine Son all spiritual blessings through Jesus Christ, Our Lord, so that having engages here below your heavenly power, I may offer my thanksgiving and homage to the most loving of Fathers. Oh, St. Joseph, I never weary contemplating you and Jesus asleep in your arms. I dare not approach while He reposes near your heart. 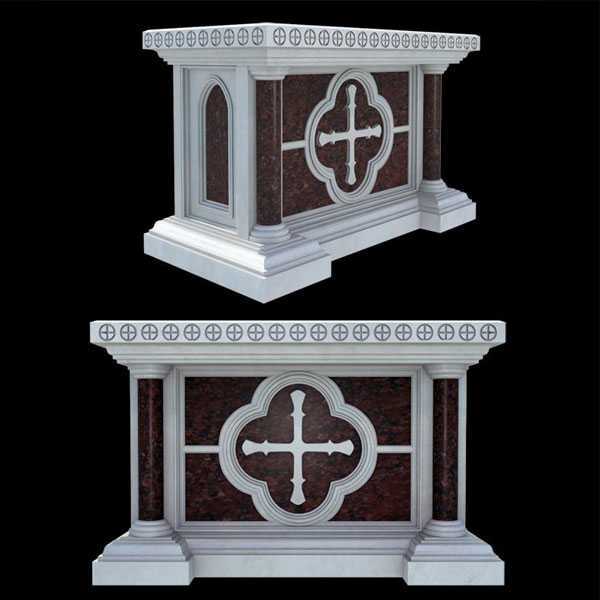 Press Him in my Name and kiss His fine Head for me, and ask Him to return the kiss when I draw my dying breathe. Amen. 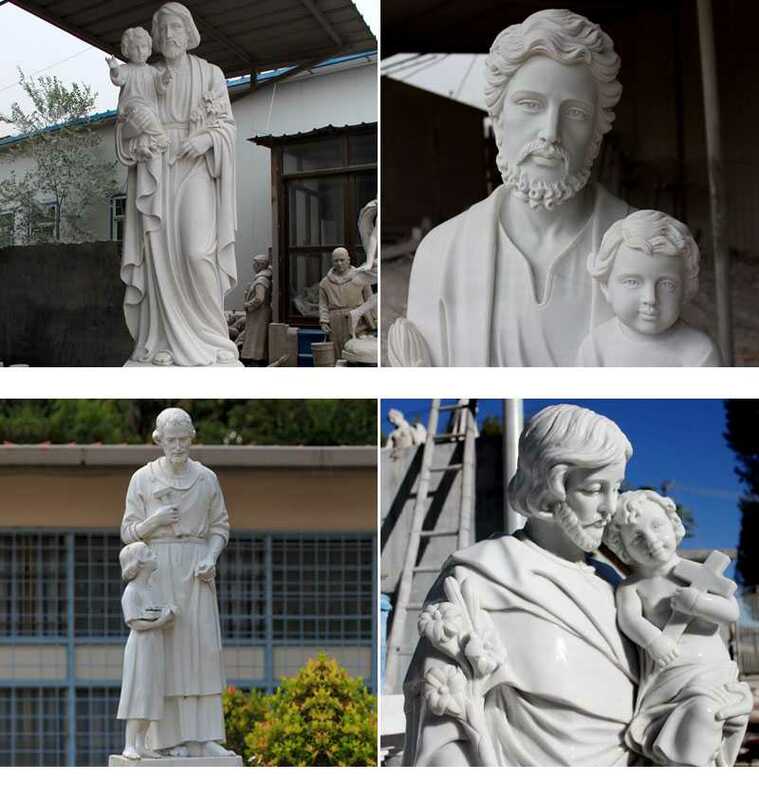 O Saint Joseph pray for me. 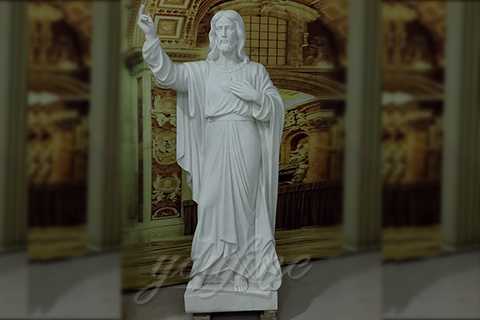 The Things of the Father of Jesus Saint Joseph Statue is Stop Here, If You Want to Know More or Interested in This Kind of Catholic Marble Statue,Please Contact to You Fine Art Sculpture,May Be You Will Get More You Want !